Onions can thin your blood because they contain flavonoids. Certain flavonoids, such as quercetin, which is found in onions, are antioxidants. This means that onions may be able to protect you against free radicals that could otherwise damage cell tissues within your body. Onions should not be used to replace any blood thinners you are on or cure any specific conditions. Talk to your doctor about the use and ingestion of onions prior to using them medicinally. Quercetin only belongs to a group of plant pigments called flavonoids. This is what gives various fruits, flowers and vegetables their color. The University of Maryland Medical Center recognizes that quercetin supplementation helps reduce blood pressure in those who suffer from hypertension. Quercetin aids in hypertension by thinning the blood, which is why onions can be useful to those who suffer from hypertension. If you take blood thinners, talk to your doctor about the consumption of onions, quercetin supplements and other foods or supplements that may thin your blood. Quercetin supplements can interfere with prescription and over-the-counter blood thinners such as coumadin, plavix and aspirin, according to the University of Maryland Medical Center. Quercetin supplements tend to enhance the effect of blood thinners, increasing the risk of bleeding. Quercetin also may interfere with other medications, such as corticosteroids and chemotherapy drugs, which can prevent your body from absorbing certain medications. Certain flavonoids, such as those found in onions, black tea, dark chocolate and red wine, appear to protect your heart, according to the University of Maryland Medical Center. Flavonoids can help protect against high cholesterol and atherosclerosis, which is the plaque buildup in your arteries that can lead to stroke and heart attack. Onions may benefit certain conditions of the heart due to the thinning of blood, making it easier for your heart and circulatory system to pump blood. 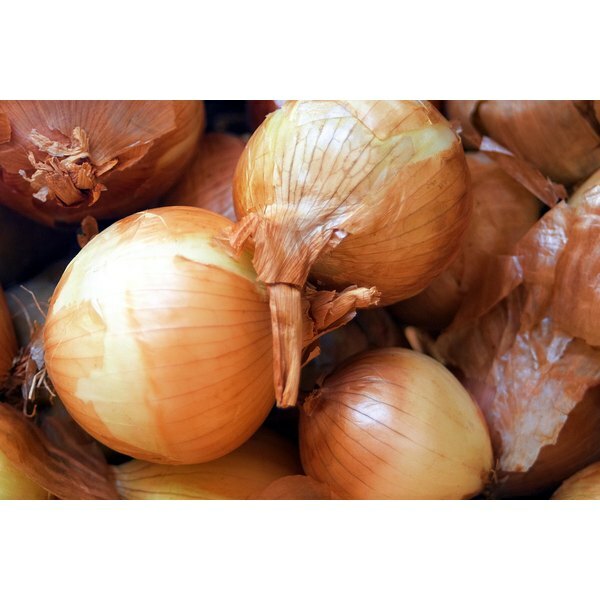 Certain types of onions may have a better effect on blood thinning. According to a study conducted by the Department of Primary Industries at the Victorian Institute of Animal Science in Victoria, Australia, brown onions seem to work the best in regards to thinning blood — at least when it comes to testing pig subjects. The Victorian Institute of Animal Science tested various onion supplements, raw brown onions and destiny onions over the course of six weeks. Blood levels were drawn and tested for clotting at various times during the study. The end conclusion is that supplementation of raw brown onions made the most impact in regards to lipid-modulating and immunostimulatory properties.